With all the complex and sophisticated computing equipment and software currently available in the world, people are more reliant than ever on their computing systems and IT capabilities. When a computer fails to do the task asked of it, or crashes completely, it is extremely infuriating for the user. Many people use the Internet for making phone calls these days, and when a network or software issue causes a dropped call or a bad line, it can be embarrassing and can even negatively affect business. In order to be able to run their businesses smoothly and efficiently, companies need to know that they can rely on their computer systems running smoothly without any problems. For example, a delivery company must be able to update its schedule of deliveries on the computer consistently. If their computer program fails in the middle of the working day, a delivery route could be plunged into chaos. When glitches in a system occur, they need to be fixed without delay. Many businesses cannot afford the time it takes to wait for a technician to be sent out, because it is essential to get the problem fixed instantly. In these cases, it is necessary to have IT technicians who have remote access to the network available at all times. In this case a computer support contract is a great solution, allowing IT technicians to have remote access to a business’s systems at all times. Telx Computers, a leading provider of IT support in Miami, announces new customized remote monitoring and management systems for all businesses. They offer tailored IT support programs that allow clients to manage their business and stay in control of their IT expenses. Regardless of the size of the company or its network, Telx Computer’s goal is to be able to fix potential problems so efficiently that users are never even aware that anything was wrong. By fixing problems before they actually affect service, the user carries on using the computer program as if nothing has happened. Businesses that have searched for the best IT services in Miami have found that Telx Computers consistently comes up at the top of the list. Furthermore, while the IT technicians at Telx Computers are first class and their service is of the highest standard, prices are still reasonable, especially when a company takes out a customized and comprehensive service contract. By ensuring servers are monitored constantly, and by giving engineers ongoing remote access, a business can just pay for the contract and be reassured in the knowledge that their computer systems will not let them down. This is the kind of peace of mind that business owners need in an increasingly competitive business world. 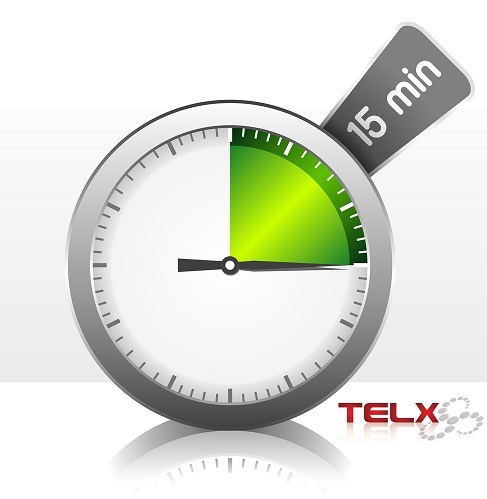 Telx Computers’ computer repair service includes a complimentary estimate for all types of work. They welcome requests regarding any questions or concern. Telx Computers is one of the leading IT companies in Miami. For more information call us toll-free: 1.800.MY TELX 4 (698.3594), or sign up for a live chat by visiting telxcomputers.com.